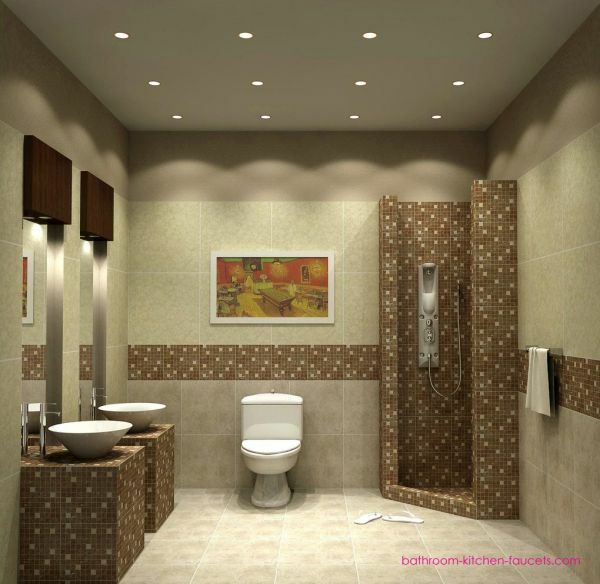 Bathroom decor ideas for small bathrooms. 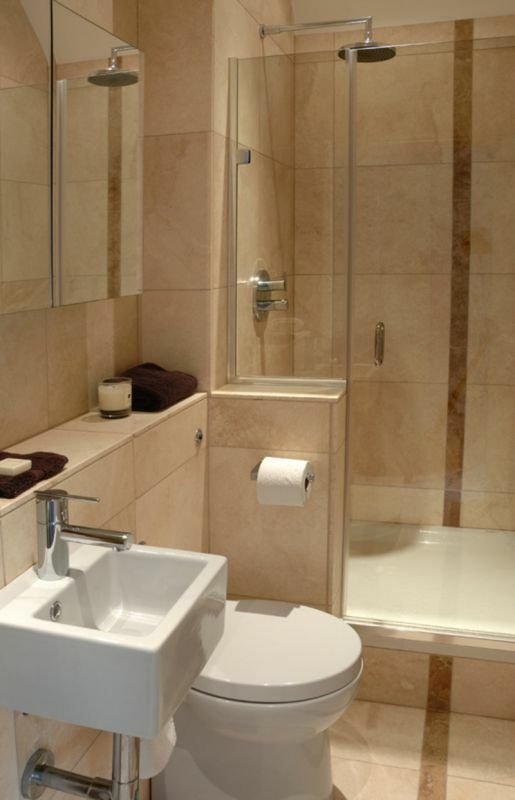 Towel racks above the tub are both convenient (no more tip-toeing around when you’re soaking wet!) and save on wall space. Don’t be afraid of large pieces in a small bathroom. A giant mirror over a tub creates the illusion of a larger space. 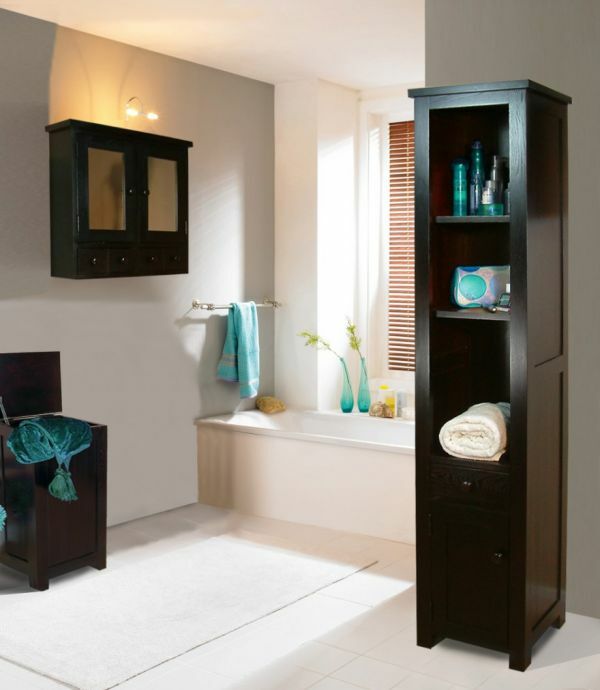 You could add a bulky shower caddy, but little cubbies look so much cuter.